When I started The Lesbian Talk Show, I wanted to create a space when women could hear audio produced by other women who they could connect with. I wanted a place that focused predominantly on lesbian audio, although not exclusively. Lesbians are women first, so I wanted a showcase of feminist podcasts. A space for women to stand up and be counted. And because I have a mad passion for lesbian literature a lot of the podcasts or podcasters are related to lesbian fiction in some way. 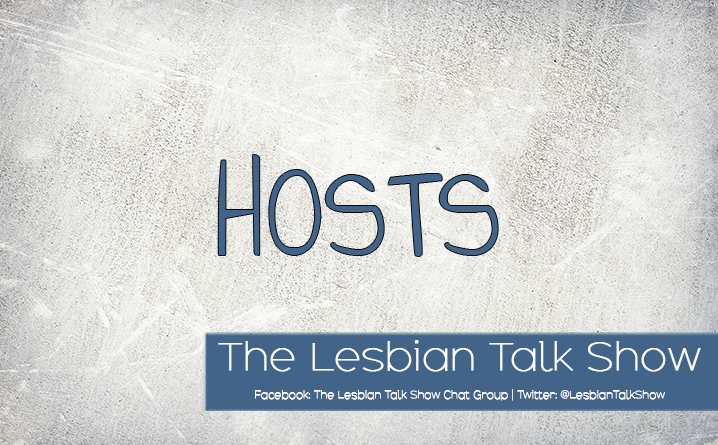 The Lesbian Talk Show is a talk show channel for women by women. Most presenters identify as lesbian, but not all. We have a couple of bisexual woman presenters too. We have a new show going live every single day. This means that you get new, exciting podcasts to listen to all the time. Most of our podcasts are short. We make them 10 to 20 minutes each. This is the perfect length for a podcast that you listen to while doing chores like folding laundry or commuting. Our goal is to give you short pieces of interesting entertainment that you can fit into your daily routine. I could not do this alone. We have a new show going live every single day and it takes a team to make that happen. I work with a truly amazing bunch of women to bring you the best lesbian podcast channel that we can. And beyond that team of remarkable women I also have guests who come on for the occasional interview and a slew of authors do recordings for me to use on Book Clips. Lesbian authors and publishers have been fantastic at helping me produce great content for my lesbian audio channel. I started by creating The Lesbian Review – a website dedicated to reviewing only the best lesbian books and movies. It became really popular and I saw an opportunity to start a podcast channel. Because my love for lesbian fiction is overriding in my life, I started by podcasting a show called The Write Stuff. During this podcast I interview lesbian fiction authors on a range of topics to help other authors sell more books, have a better social media presence and write better. While I was doing this podcast I realized that there was scope for more lifestyle type shows and so I started Les Talk About It with Tamara. This show was aimed at discussing some of those seriously annoying myths around lesbianism like – who is the man in the relationship. Now I had two shows, but I saw an opportunity while interviewing Harper Bliss because she spoke about how she was not only able to make a living for herself through writing lesbian fiction but she and her wife are bale to work full time in their publishing company by publishing predominantly Harper’s novels. She was extremely generous with her time and information and so I offered the Bliss’s their own podcast. Naturally, they are awesome and took me up on my offer. The rest snowballed and I ended up involving other authors like KA Moll, Darla Baker, Suzie Carr, Heather Rose Jones, Andi Marquette and Jove Belle. I also roped in my poor unsuspecting reviewers and so Tara and Brooklyn started their own show. As we go, the channel evolves and grows. The podcasters learn and hone their art and we develop what I think is the best lesbian audio channel around.